Synopsis, Our Opinion: A notable wine we enjoyed with a lamb dinner. 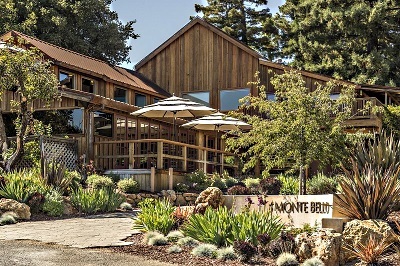 Geographic Appellation: Monte Bello Vineyard; Santa Cruz Mountains, California. 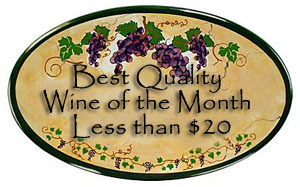 Purchased From: Ridge Vineyards Monte Bello Vineyard tasting room; Cupertino, California. Paired With: Grilled lamb kebabs with Middle Eastern spices, salt potatos and roasted brussels sprouts. Opened one hour before drinking. Opaque, inky dark ruby color with glimmers of purple and the same color rim. Strong ripe blackberry with damp earth and old wood aromas, but with a distinct tobacco smell in the background. Silky smooth, juicy, full body and a 400-grit texture. 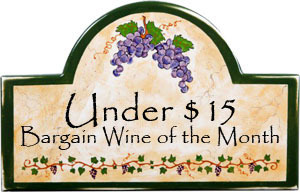 Strong jammy cherry and plum flavors with significant vegetative highlights and secondary licorice tastes. 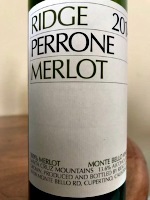 Well balanced with smooth, almost creamy mouth-feel, but with abundant fine grained tannins and an enervated spicy finish that goes on an on then finally ends with a dusty mineral aftertaste. Even with only 13% alcohol there was gobs of California sunshine in this EASY DRINKING Merlot. If we were blind tasting this wine I would have said it was Cabernet Franc, not Merlot. It’s not inexpensive Merlot, but clearly a notable wine we enjoyed with a lamb dinner.